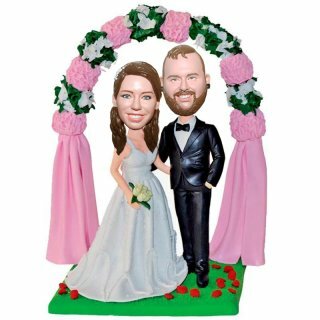 Wedding Flowers doors bobbleheads for wedding cake. 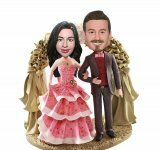 Personalized bobbleheads from photo, All the accessories on the bobblehead can be changed free for charge:add or remove the things those you want on the bobblehead. I absolutely love my wedding bobblehead - it looks JUST like us! Highly recommended!